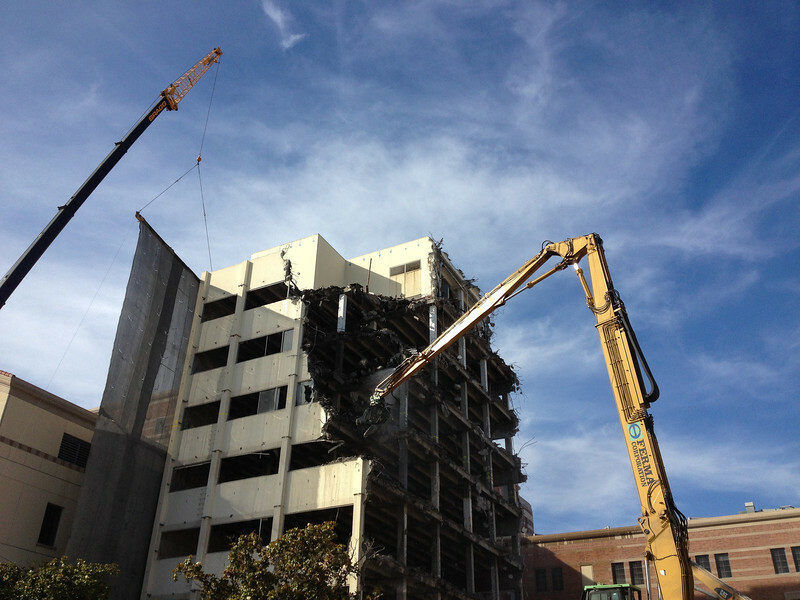 The old building at Santa Monica-UCLA Medical Center. The new building surrounds it, so they have to be very careful while they tear this one down. It's incredible to watch, and I actually took some video of this massive claw thing that I will post as soon as I cut it together (might be a while). Basically this thing munches away at the building, a little bit at a time. Every once in a while a large amount of debris will crash to the ground. It's crazy, I've never seen anything like it.